UPDATE: BBC Trust rejects plan to close 6 Music | What Hi-Fi? The BBC Trust has rejected the BBC's plan to close the radio station 6 Music. The Trust, which represents the interests of licence fee payers, said the case for closure had not been made. But the Trust accepted the plan to close the Asian Network, cut online budget by 25% and close the teen service Blast!. A high-profile campaign was mounted by the music industry and fans alike to campaign against the planned closure. 6 Music had 101,998 average weekly unique users in April 2010, compared to 133,653 in March 2010, while the Asian Network pulled in 31,577 average weekly users in April 2010. However, 6 Music's users listen for longer, listening on average for nearly 10 times longer over the course of a month than listeners to the Asian Network. The Trust published its initial conclusions to the strategy review alongside the BBC's Annual Report. The Trust said: "As things stand, the case has not been made for the closure of 6 Music. Senior music industry executives from Sony Music, EMI, Universal and Warner Brothers have called for BBC 6 Music to be saved in a top-level meeting with the BBC Trust, according to MediaGuardian. The eight-strong delegation included Sony's chief operating officer Paul Curran, EMI's UK president Andria Vidler and Universal Music chief executive David Joseph. "We cannot see the sense in pulling the plug on a successful outlet for artists, both new and established, that are not being played on Radio 1 or 2," says Tony Wadsworth, chairman of the BPI, speaking on behalf of the delegation. "BBC 6 Music has significant cultural worth and public value that you can't measure by audience numbers alone, and it provides programming that commercial radio does not." You'd never guess there's a general election looming. The latest person to back the campaign to save BBC 6 Music is none other than the Prime Minister himself, Gordon Brown. Speaking to the Radio Times, the PM said that he's backing the campaign to save the threatened digital station, facing closure as part of a shake-up of the Corporation. "I think personally that the the BBC should not have succumbed to pressure to cut certain things – but they have," he told the magazine. Asked whether he was in favour of the campaign to save 6 Music, he said: "Yes, because it's the next stage to worry about. The Conservatives have said they'll hive off Radio 1. "A lot of things the BBC does are incredibly creative and quite risky. But this is a necessary means of us being a creative society." The Prime Minister added: "I want to safeguard the independence of the BBC and I think the licence fee is the means by which you do it." 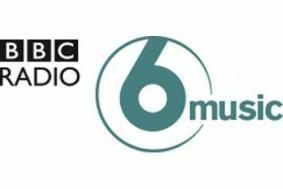 Despite a high profile campaign to save it, BBC 6 Music faces the axe under plans submitted to the BBC Trust today by Mark Thompson, director general of the corporation. The earliest the station would close is by the end of 2011, says Thompson. Comedian and DJ Phil Jupitus has described the potential axing of 6 Music as "an act of cultural vandalism". BBC websites will also face cuts, with 25 per cent less due to be spent on BBC online by 2013. The Corporation has faced mounting criticism from commercial rivals, who have demanded that it should rein in the scale of its activities. Do you think 6 Music should be saved? Let us know what you think.